9. “The Letter” vocals – William Sherry Jr.
10. “I’m not going to say I’m Sorry” vocals – William Sherry Jr.
11. “Chances” vocals – William Sherry Jr.
14. “Only 7 months to go” male vocals – William Sherry Jr. 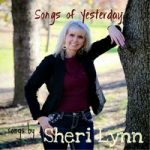 There is also “Beautiful You” sung with William Sherry Jr.’s vocals on my web site too. The story behind the song “Only 7 months to go” is this, Ryan Nicholson whom I met on Reverbnation asked me if I would help him to write a song out of a love letter that his father sent to his mother years ago while his father was serving in the Marines. So I in turn took the love letter and tried to keep it as original as possible and put it with my style of writing and we sent it off to have Aerugo Productions produce it and the owner William Sherry Jr. is doing the vocals. It was given to Ryan’s mother as an Anniversary gift this past December.